Will he trip before he reaches the end of the hall? Inpatient falls and fall-related injuries continue to be the largest category of reported incidents in the acute care setting. Medical malpractice attorneys are frequently involved in litigating cases of falls. They are a frequent cause of lawsuits for both acute and long-term care institutions. A fall may occur anywhere within the healthcare system. Our Med League experts have helped attorneys with falls in hospitals, assisted living facilities, doctor’s offices, nursing homes, and dialysis centers. Thirty to fifty-one percent of falls in hospitals result in some injury. 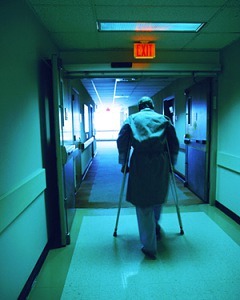 Injuries from falls may be devastating to patients, families and healthcare providers. Falls can significantly increase the length of a hospitalization or nursing home admission. One fall can result in a downward course, leading to fear of falling, decreased mobility, pressures, pneumonia and death. 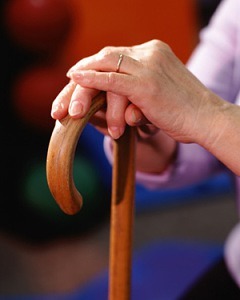 It is common for an attorney to tell us that an elderly patient fell and never regained mobility. A sixty-two-year-old resident of a nursing home used a wheelchair. He claimed he fell while the healthcare provider was transferring him from his bed to a shower chair, and suffered brain damage and a fractured hip. He claimed he continued to have chronic pain on the left side and lost function of the right leg due to the incident. The plaintiff also asserted the defendants failed to provide him with providing proper staffing for a safe transfer, and that the defendants tried to cover up the incident. The defendants asserted the plaintiff did not fall during the transfer and that there were no indications of any injury until the next day when the plaintiff complained of pain. The defendants maintained the staffing levels met all regulatory requirements. The parties settled the case for $1.5 million in this California case. People of any age may fall, but the consequences are highest among older peo0ple. About one-third of older adults fall each year. There are medical and social costs of falls. The serious injuries include intracranial bleeding, paralysis, rib fractures, liver lacerations, fracture, dislocation, and crush injury. Patients who are on blood thinners may have increased bleeding after a traumatic fall. Fall-related injuries may result in death, and the social costs of disability, loss of independence, and early admission to nursing homes. Frail, aging patients are at ever increasing risk of serious complications from falls. Among older adults, falls are the leading cause of injury and deaths and the most common cause of non-fatal injuries and hospital admissions for trauma. Approximately 20-30% of patients die within a year following a fractured hip resulting from a fall. Many survive an injurious fall but suffer significant disability and diminished quality of life. Serious injuries add billions to our healthcare costs. The Centers for Medicare and Medicaid Services (CMS) defined some falls as a never event or a “serious and costly error in the provision of health services that should never happen.” CMS refused to pay for medical care necessitated by a never event. Since CMS took that stand effective October 1, 2008, Medicaid and private payors also stated they would not reimburse for care related to falls. Judgments about the preventability of a fall can cost a facility thousands of dollars in lost revenue and even more in settlements or verdicts. Many states define falls as events that must be reported to state agencies. The report may stimulate a survey of the facility or a fine. Falls are an excellent example of how prevention saves millions of dollars. There are many complex factors associated with the causes of falls and the methods used to prevent them. Part 2 shares pointers about the standard of care for fall prevention.